Do you do Secret Santa with your colleagues or friends? This year my team with a budget of just £5 took on the challenge of purchasing a gift for a random team member drawn from a hat. On our last shift together in the office we shared the bounty. 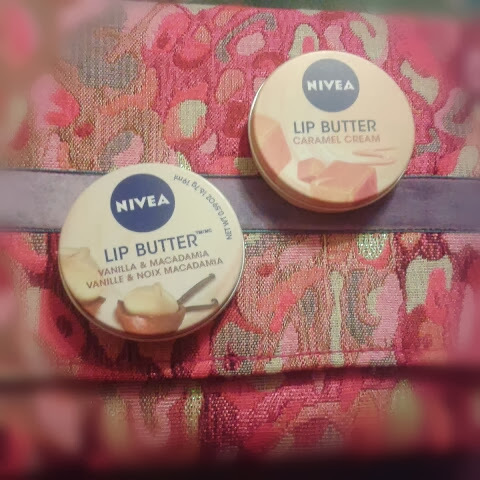 I like to think I'm easy to buy for, I have the feeling that the person who bought mine follows my instagram as they bought me my favourite Nivea Lip Butters and a make up bag. Result! I won't share what I bought for my person, except I will say I was lucky. At a team outing they shouted what they wanted!